Vines Storage is designed to mitigate all potential threats to your valuables. The storage specialists can make recommendations that ultimately extend the life of everything from big-ticket investments in vehicles and furniture to priceless antiques, memorabilia, and heirlooms passed from generation to generation. You hear a lot about “layered security” nowadays. It’s not enough to have a single “security control” to protect precious belongings. Trusted specialists have many controls in place to assure your belongings are in a secure storage facility in Redlands CA. The facility’s secure location is an important deterrent. Conveniently sitting three miles away from the I-10 Freeway in East Redlands, Vines Storage is within easy driving distance of Lake Arrowhead and Big Bear. It’s high visibility and lack of isolation help thwart vandals and thieves that wish to steal or do damage to property. Another feature of the Vines Storage facility is the 8-foot cinderblock wall that surrounds the site. Only those individuals who have reserved a space and are storing items at the facility have access to the site, and unique access controls to their respective units or spaces. The Vines Storage team can’t be everywhere at once or see everything all the time, so they have a little help by way of 32 cameras strategically scattered throughout the facility for full coverage. This 24-hour video surveillance is accompanied by the latest in alarm technology. The team wants you to be covered in other ways as well; for utmost peace of mind, they encourage checking with your renter’s or homeowner’s insurance policy to see if valuables stored offsite are covered. 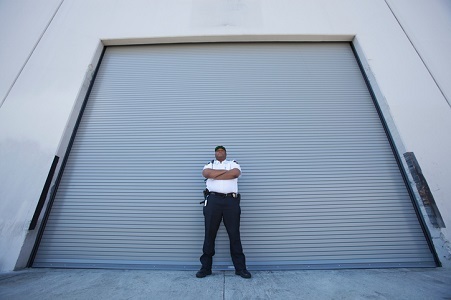 Sometimes the amenities offered by Vines Storage, such as climate-controlled units and layered security, meet the requirements to qualify for coverage through your provider. Bring your questions to a qualified, experienced storage specialist. Call 909-389-6209.